Why Should You Choose Vision Source? | Vision Source Northern Virginia & Washington D.C. Vision Source Signature Eye Care Northern Virginia Washington D.C.
Why Should You Choose Vision Source? Because outstanding patient care is our number one priority. 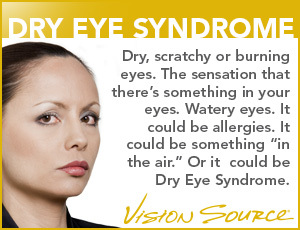 Vision Source doctors are leaders in their field. In addition to working with patients, many of our doctors are conducting exciting new research and teaching at prestigious universities to train the next generation of optometrists. Because of the size and reputation of the Vision Source network, we are often the first to introduce new instruments and diagnostic equipment in our practices. Our offices are always on the leading edge of technology and are able to offer you the most advanced vision care available. At Vision Source, our focus is on you. We are dedicated to providing you with the products and treatments that are best for your needs. Don’t just take our word for it, hear what some of our customers have to say. Vision Source Northern Virginia & Washington D.C. doctors work with many insurance carriers. Check out some of our featured carries and get in touch with the office nearest you to see if they accept your insurance plan. Copyright © 2019 Vision Source Northern Virginia & Washington D.C.. All rights reserved.